A rare 1951 Vincent Black Lightning hit 141 mph to break a land speed record and is one of the most coveted motorcycles of all time. 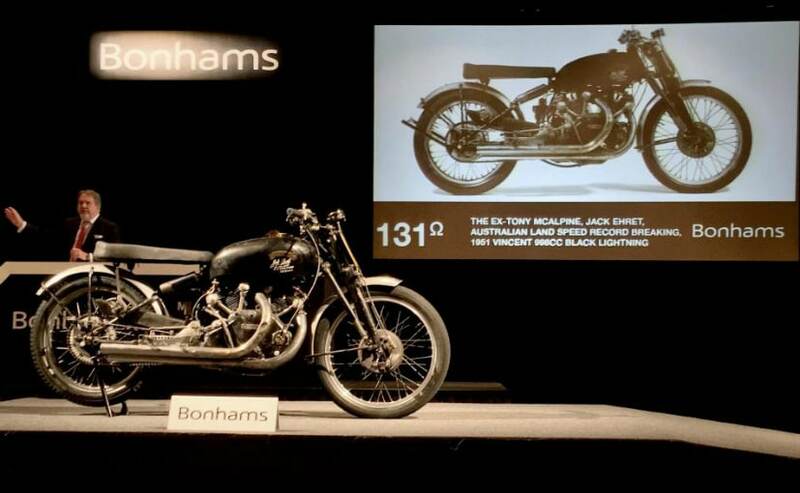 The world record for the highest price ever paid for a single motorcycle at auction has been shattered by a 1951 Vincent Black Lightning at a Bonhams auction in Las Vegas. The motorcycle sold for $ 929,000 (nearly ₹ 6 crore) besting the previous sales record set in 2015 when a 1915 Cyclone, once owned by actor Steve McQueen, was sold for $775,000 (over ₹ 4.9 crore). One of 31 models of its kind ever built, the Black Lightning was owned by racer Jack Ehret who used it to set Australia's land speed record of 141.5 mph (around 228 kmph). 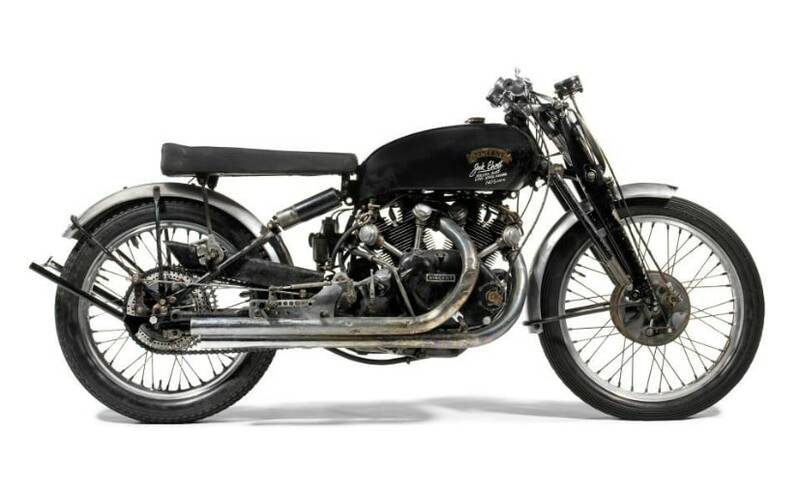 Bonhams said the 1951 Vincent Black Lightning is "perhaps the most coveted production motorcycle ever built." 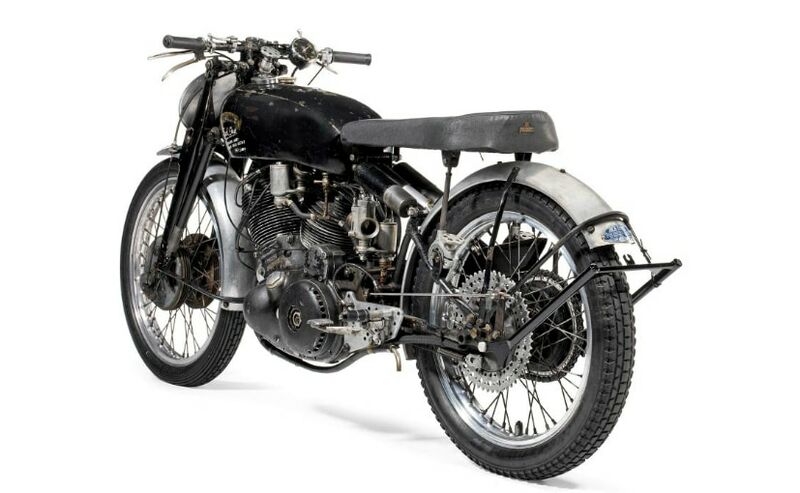 The cosmetically unrestored bike, with its impressive racing history gives it a "rare and desirable slice of motorcycle history," the auction house said in a statement. The Vincent Black Lighting originally went on sale in 1948 and was manufactured by Vincent in Stevenage, England. 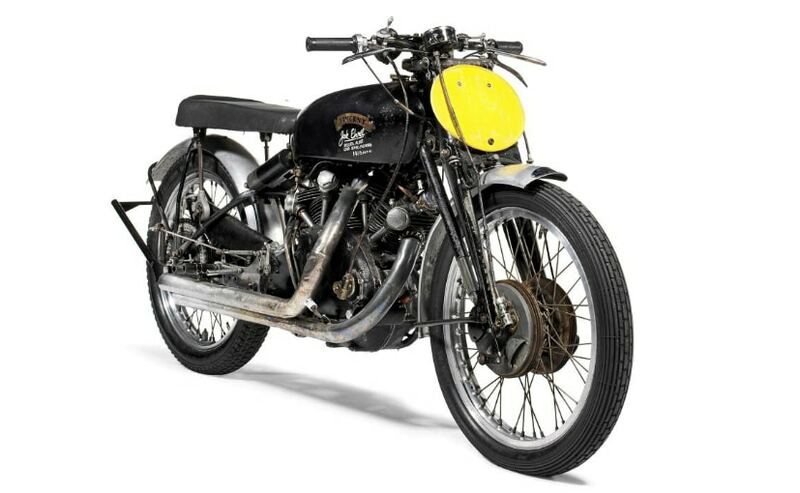 The award winning bike's racing history, combined with the rarity of the model and its unrestored condition, contributed to the record-setting price. Built between 1948 and 1952, the Vincent Black Lightning was the fastest motorcycle in the world in its day, with a claimed top speed of 150 mph (over 241 kmph). The bike was powered by a 998 cc, air-cooled OHV, v-twin motor putting out around 70 bhp. In its 66-year-life, the record-breaking Vincent Black Lightning has been ridden just 5,000 miles (around 8,000 km), with much of that mileage in races and speed challenges. Ehret, who died in 2001, aged 78, said the Vincent finished on the podium in 80 per cent of the races he entered during his 40 years of racing it.